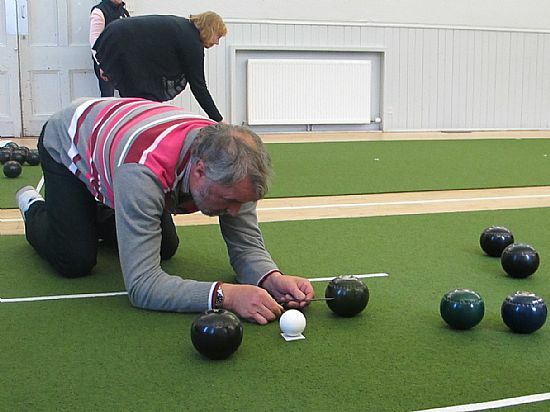 From October to April there is indoor bowling at the Victoria Hall, High Street, Cromarty. The indoor bowling club is a separate organisation from the lawn bowling club. 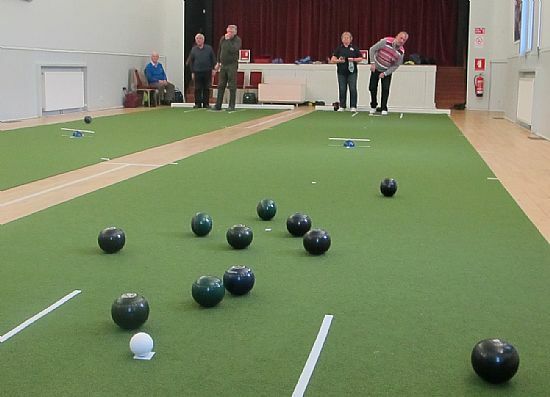 If you would like to try your hand at some short mat indoor bowling during the months when even the Cromarty sunshine can be less certain - new members will be made very welcome. The best place to start is to come along to Victoria Hall for the Friday afternoon session at 2pm or Sunday session at 2.30pm. 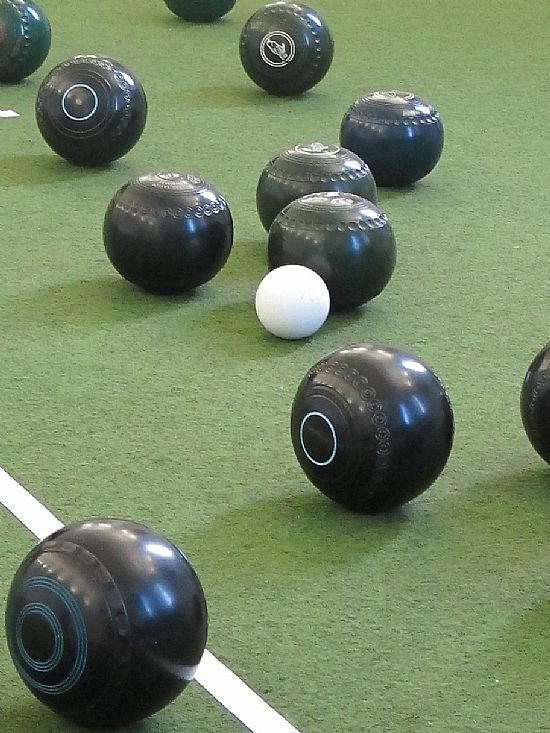 You can borrow some Club bowls. Membership for the 2018/19 indoor season costs £30. There is also a charge of £1 for the Friday afternoon session. All other sessions are covered within the membership fee which mainly meets the cost of hiring the hall. 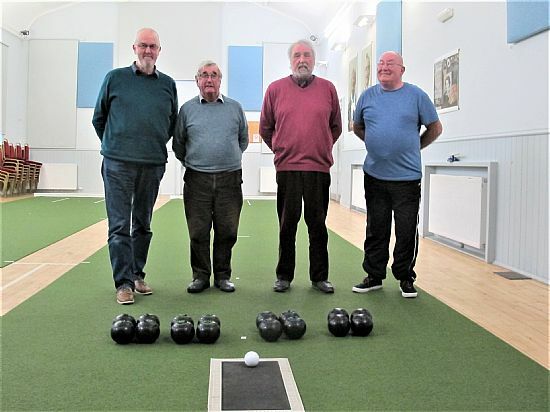 The players in the 2019 Indoor Pairs final, from L to R: Alistair Hourston, Douglas Cooper, Alex Wilson and Frank McKellar. The winners were Alex and Frank. 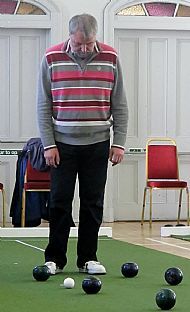 David Cowan won the Indoor Singles competition in 2019. 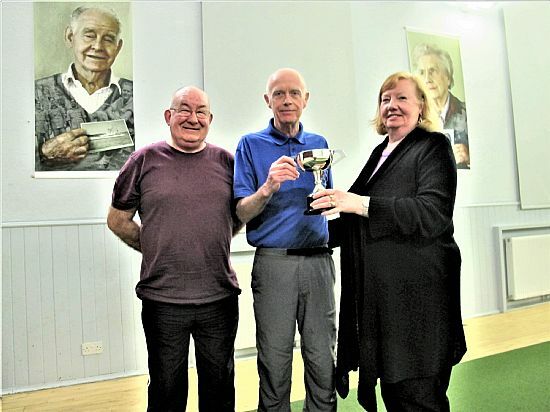 Frank McKellar on the left of the picture was the runner-up. 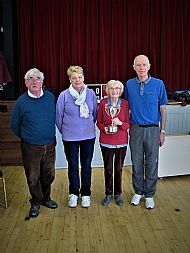 Evelyn Wilson presented the trophy. Ian Thompson won the 4-bowl singles competition on 9th February 2018. 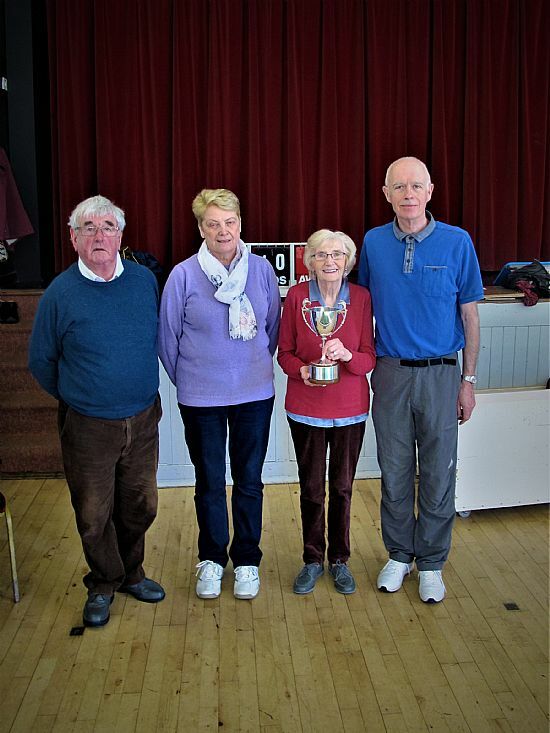 Moira Munro presented the trophy. 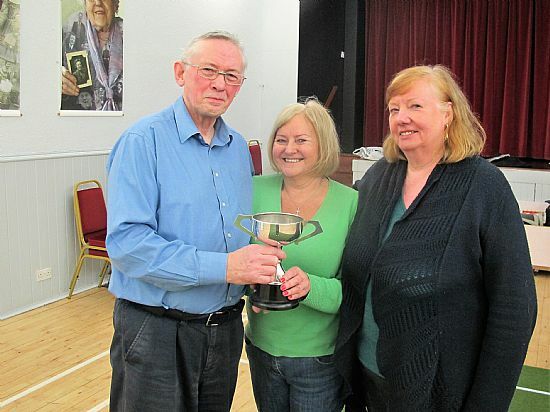 Evelyn Wilson was runner-up.